Though the smart home market will essentially be dominated by two companies, Amazon and Google, Apple is also expected to gain traction in the coming years. 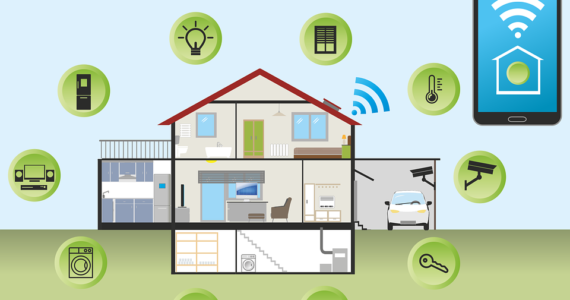 The global market for smart home devices is expected to grow 26.9% year over year in 2019 to 832.7 million shipments, according to IDC. Sustained growth is expected to continue with a compound annual growth rate (CAGR) of 16.9% over the 2019-2023 forecast period and nearly 1.6 billion devices shipped in 2023 as consumers adopt multiple devices within their homes and as global availability of products and services increases. Though the smart home market will essentially be dominated by two companies, Amazon and Google, Apple is also expected to gain traction in the coming years. The existing popularity of iOS and macOS devices combined with the availability of Apple apps/services on non-Apple products will help the company slowly entice more consumers into their ecosystem while also attracting third parties to build compatible devices. Beyond Apple, Samsung is another company that is worth watching as its products extend into every category and the company continues to invest in Bixby and Tizen.